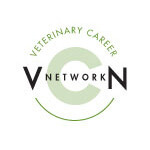 Dr. Tony Woodward DVM, AVDC can provide dental training in your facility. Dr. Woodward owned and operated the Colorado Pet Dental Training Center, the largest in the United States, for the last 17 years. In-clinic training saves the substantial costs of travel, lodging, meals and missed days of clinical time. Lecture and wet labs are both possible. A variety of topics are available, including providing a proper cleaning, dental radiography, oral pathology, bonded sealants for fractured teeth, surgical extractions, retrieval of fractured roots, and many others. For further information, contact Dr. Woodward at montanapetdental@gmail.com.